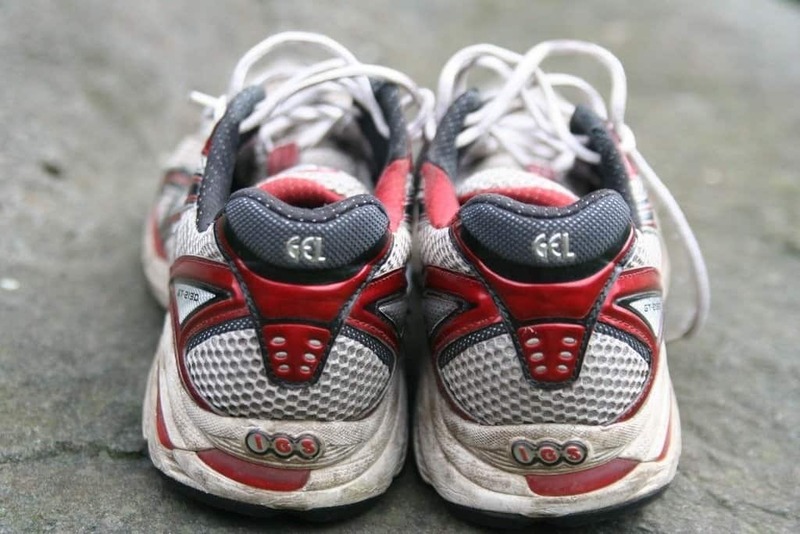 Although running is a physical activity, runners have a lot to think about. The human body is a wonder of creation, capable of a lot of activity but also surprisingly fragile and weak. Often, athletes try to seek new ways to improve their strength, stamina, and overall cardiovascular health. When this happens, many discover HIIT and its associated equipment. There’s a lot of misinformation and strange products on the market, so it’s important for athletes to do their research and find the best machine for them. 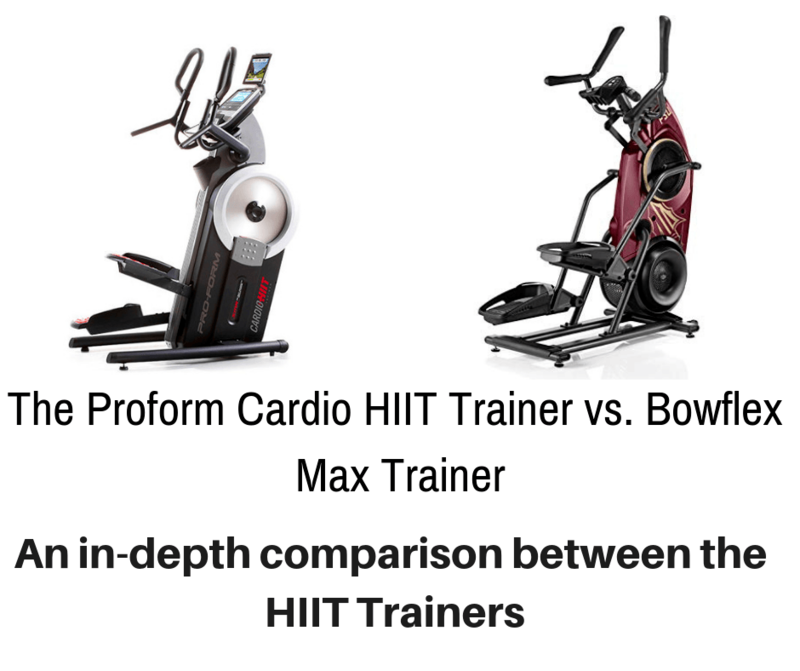 This review seeks to determine which is better for HIIT: the Proform Cardio HIIT Trainer vs the Bowflex Max Trainer. HIIT is the practice of using short bursts of a high pace followed by periods of more relaxing activities. For example, someone doing a high intensity workout might sprint for 30 seconds and then jog for 90 seconds. The idea is to get the cardiovascular system used to doing hard activities over a short period of time. This improves muscle health, circulation, and breathing techniques. According to WebMD, HIIT primarily targets the legs and is a good way to build strength. It’s a type of exercise that any runners can do, including beginners and novices. The trick is to not overdo it. How Long Should A HIIT Training Session Last? Popsugar magazine and many other news sources like the New York Times compiled doctor research on how long an HIIT workout should last, and the answer tends to surprise people: No more than 20 minutes. This is to ensure muscles have time to rebuild and people aren’t draining themselves and potentially hurting their bodies through overexertion. For the runner who wants to exercise indoors, HIIT can be done on a special form of elliptical trainer that looks like a combination between a regular elliptical and a stair climber. These adjustable machines allow the use to switch quickly between a grueling pace and an easier one. How Often Should Someone Do HIIT? Often runners will overdo HIIT when they start out or are training for a marathon, and this is a bad idea. Experts suggest that the average individual, and even professionals, should only perform 2-3 HIIT workouts each week. There should be a space of at least a day in between each one to give the body time to rest. It’s important for humans not to have high intensity interval training all the time because the body is burning a lot of energy and tearing through muscle quickly to build it anew. Individuals put themselves at serious risk of injury if they don’t take a break or try to do something of less intensity in between workouts. However, HIIT is an important part of any runner’s workout. Races like the Tough Mudder even encourage runners to incorporate it into their regular routines because the muscle build and improved cardiovascular health are great assets for anyone who wants to push themselves. With this in mind, it’s time to move on to the reviews. 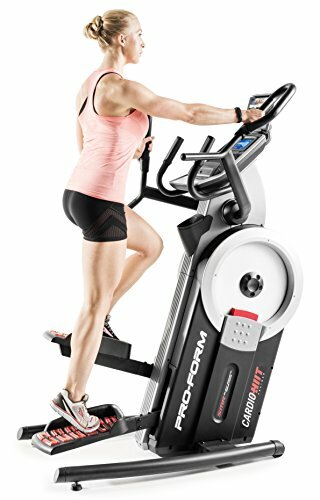 The Proform Cardio HIIT Trainer is a classic HIIT machine that looks like a cross between an elliptical and a stair climber. It costs on average between $800 and $900 depending on the seller and is packed with features for the average user and athlete alike. The machine has full dimensions of 34 x 18 x 50 in. and weighs roughly 180 lbs. The HIIT trainer has a 7 in. 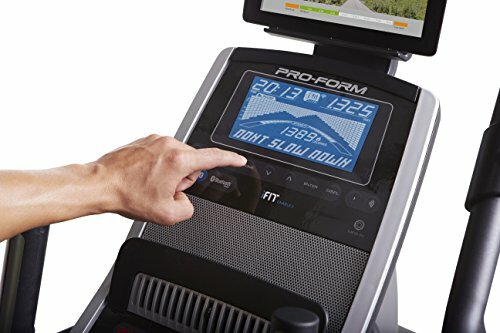 backlit display that shows important information like calories burned, the speed of the workout, and distance travelled. The handles of the machine have an EKG monitor which displays the runner’s heart rate on the screen. Preprogrammed into the trainer are 32 workout applications and 24 resistance levels that can be adjusted in the middle of the workout. The main dash comes with a fan and the steps are cushioned to improve the comfort of the feet. The pedals move in at a 5 in. horizontal and a 10 in. vertical so the user is constantly climbing and building their muscles. 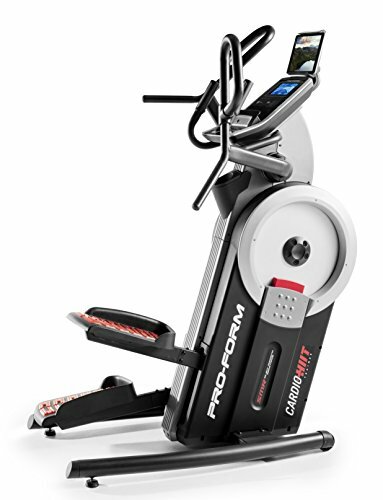 The Proform Cardio HIIT Trainer comes with a lifetime warranty for the frame, a 3-year warranty for the parts, and a 1-year warranty for the labor used to build it – if it was professionally done. The machine holds a maximum weight of 350 lbs. The Bowflex Max Trainer is another classic HIIT machine designed to improve an individual’s muscle development and cardiovascular health. It costs between $1,300 and $1,500 depending on how many frills the buyer would like to include. The product weighs 173 lbs. 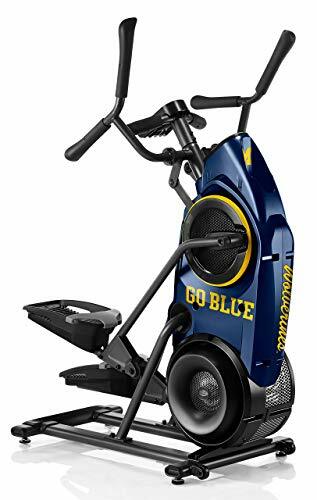 The design of this model is sleeker than that of the Proform Cardio HIIT Trainer with a smaller screen and more emphasis placed on the workout. The device has a blue backlit screen that displays important information like the target zones the runner should be hitting, calories burned, current speed, and average speed. There are 9 preprogrammed workouts, Bluetooth connectivity to sync workout apps, and 16 levels of magnetic resistance. The pedals move roughly 5 in. horizontally and 11 in. vertically for a full workout. The Bowflex Max Trainer comes with a lifetime warranty on the frame and a 2-year warranty for parts and labor. The maximum weight limit is 300 lbs. 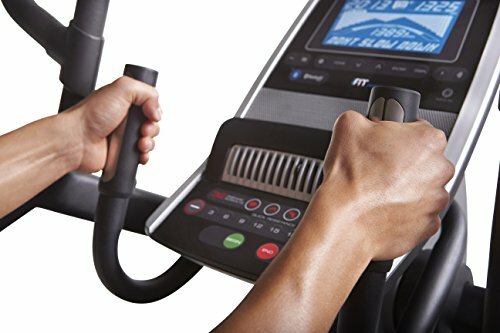 The comparison between these two elliptical HIIT trainers can be a bit difficult because they are obviously in two different price points. One thing that definitely stands out between the two is that the Bowflex, while being twice as expensive as the Proform, actually has fewer workouts and levels of magnetic resistance. Its warranty is also only slightly better, but the machine is definitely better looking and appears to suffer from fewer breakdowns than the Proform. Normally, reviews like this one would recommend that runners determine their needs and then make a decision based on what would work best for them. However, in this case, the Proform definitely appears to be better than the Bowflex. It possesses more flexibility, adjustability, and is half the cost, making it a better choice for the average runner. While the Bowflex is a great machine, it seems to be catering to individuals who want something sleek, flashy, and are willing to pay extra for the company name. For all of these reasons, the Proform Cardio HIIT Trainer is the clear winner.